With the protestant religions emphasizing on the sermon rather than rituals, the idea emerged to put the preacher in the center of the church. 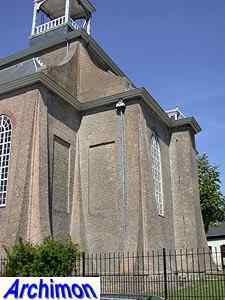 Although this was not always possible in the churches the protestants had taken from the Catholics, there were too many former catholic churches or usable parts of these left to justify the construction of entirely new buildings. 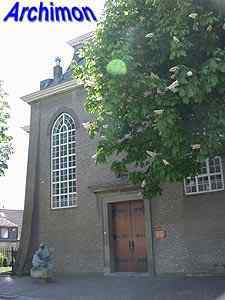 As a result, relatively few new protestant churches were built between the Reformation and 1795, when the Reformed protestant religion lost its privileges. 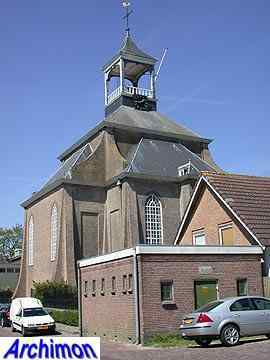 Especially in the predominantly catholic south of the country this church in Hooge Zwaluwe is a rare exception, and a monumental one as well. 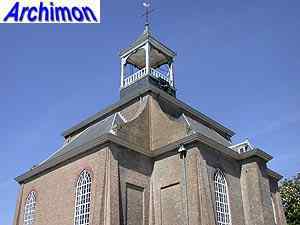 This is explained by the fact that this village was still in in the province of Holland at that time, and the church was paid for by prince Frederik Hendrik, who was lord of Hooge and Lage Zwaluwe. 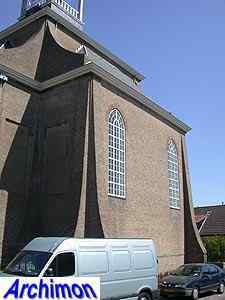 The architect was none other than Jacob van Campen, one of the most famous architects of that period. 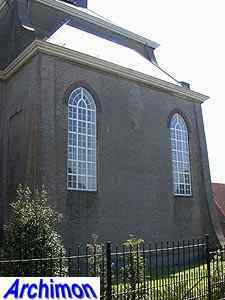 The church was built in the then popular Classical style (see: The first protestant churches), especially recognizable by the shape of the windows and the window-frames. The ground-plan has the shape of a Greek cross with four short arms. 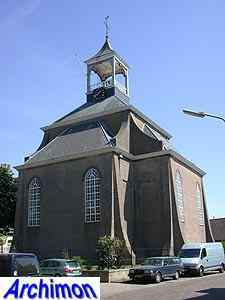 The square crossing rises out above the arms and is crowned with a small tower. 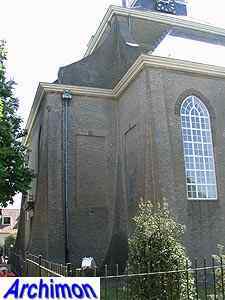 The buttresses are particularly noteworthy; their odd shape refers to Salomon's temple, a feature van Campen used on his other churches as well. 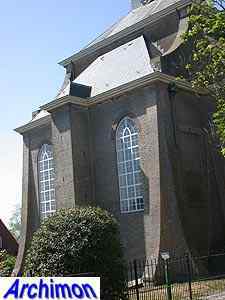 In 1910 a fire destroyed the church's roof and everything inside the building. The roof was rebuilt slightly different from the original one. 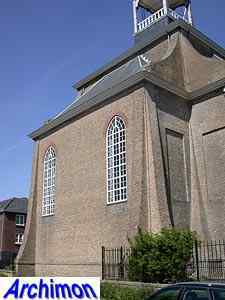 In the same period this church was built, Van Campen built a very similar church in Renswoude, province of Utrecht. 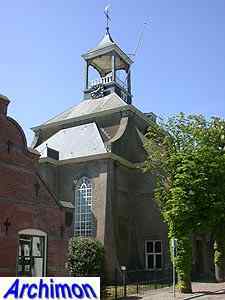 Instead of the rather simple roof of the church in Hooge Zwaluwe, that one has an octagonal tower covering most of the crossing, with a dome on top.